There’s no singular origin story for those who code. While some developers start meddling with new languages in high school or college, Bethanne Zink didn’t begin until years later. A political science and history major, she started with a career in education, working with kids on the autism spectrum. She dedicated over eight years to supporting younger minds before moving to New York, where she eventually learned to code. It all started with a website. Bethanne and her friend were creating costumes to pair with public art exhibits, and they decided to document their project online. 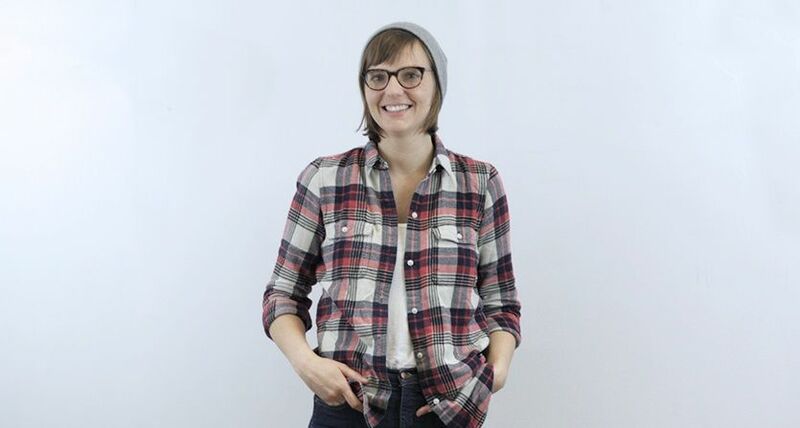 They originally built a site on Squarespace, but Bethanne wanted to customize it. She started with online programs, looking into classes teaching CSS. But the more she explored, the more expansive her education became. Bethanne dove into as much as she could, including Harvard’s CS50 program, their famous Computer Science 101. According to the latest Stack OverFlow Developer Survey, “a common misconception about developers is that they've all been programming since childhood.” In fact, over 90% of developers consider themselves self-taught. Even those with a formal degree say that it’s only one aspect of their education. The survey found that “among current professional developers, 55.9% say they’ve taken an online course, and 53.4% say they’ve received on-the-job training” with 9% relying on boot camps. It seems that many developers have a desire to make sense of the unknown and want to explore the world by building new tools and platforms. Bethanne discovered her first taste of coding with her website, but the hunger to learn never stopped, so she enrolled in a boot camp at the Flatiron School in New York. According to Mashable, the bootcamp market was projected to grow 1.5x in the past year to over 22,000 graduates. While some people are disillusioned with bootcamps and others graduate with a good base of skills, an indeed.com study shows that most employers (72%) are open to consider hiring boot camp graduates depending on their skill level. However, the study also revealed that “despite employer enthusiasm for the model, 98% of respondents want to see regulation” on what bootcamps are teaching and what skills developers possess when they graduate. Bethanne’s boot camp experience was fruitful. After preparing, studying, and interviewing, she landed her first job at Bounce Exchange as an Integration Engineer. More recently, she utilized Vettery to find a new job at Group Nine Media, where she focuses on emerging platforms. After looking for a job the second time around, Bethanne now has a keener sense of what to seek out during the interview process. As technology marches on and developer demand increases, more people like Bethanne will learn to change our world. The journey from side project to full stack is one driven by curiosity and dedication, especially in a time where there’s always more to know—and where there’s endless ways to come to know it.